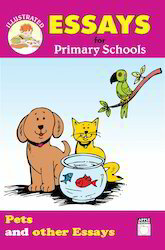 Offering you a complete choice of products which include letters for school students, essays for school students, essays for primary schools a day at beach, essays for primary schools - my friends, essays for primary schools pets and essays for primary schools if i were an animal. 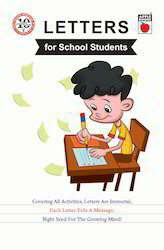 Letters for School Students book offered comprises 180 pages and is developed keeping the learning needs of school children in mind. Covering varied activities, here each letter tells a message and is right seed for the growing mind. Further, the brightly illustrated finish with latest design and book layout also make it easy to understand for children. Some of its features include well designed illustrations. provide for a reading and learning environment anywhere, featuring easy to understand and commonly used words in printed text. make children read & learn at an easy pace. 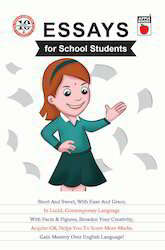 Essays for School Students book offered comprises 172 pages and is suited for school students. The presentation of the books is in lucid contemporary language with facts and figures that broaden your creativity. Helping children to score more marks and gain mastery over English language, it introduces children to the joy of reading and learning. Supporting the need of children to learn and understand easy formed sentences, it is suitable for preschoolers and kindergarten children and also stimulates thinking. 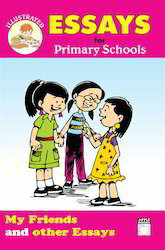 Essays for Primary Schools a Day at Beach book offered comprises 32 pages and is suited for children of primary schools. 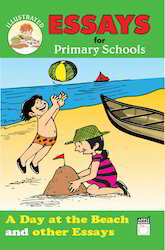 The book comes with A day at the beach and other essays and is an attractive source of learning for school children. 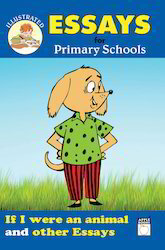 Further, the appealing finish of the book also makes it a exciting read for younger children. Some of its features include encouraging kids to learn sentence formation, simple illustrations complement this book, best learning/moral education book, lots of activities designed to inspire reading, writing, talking and listening together. Looking for Essays and Letters ?